Suggestively called Cryptomaster, the herein studied daddy longlegs genus, represented until recently by a single species, is not only difficult to find in the mountains of southwest Oregon, but had also stayed understudied for several decades since its establishment in 1969. 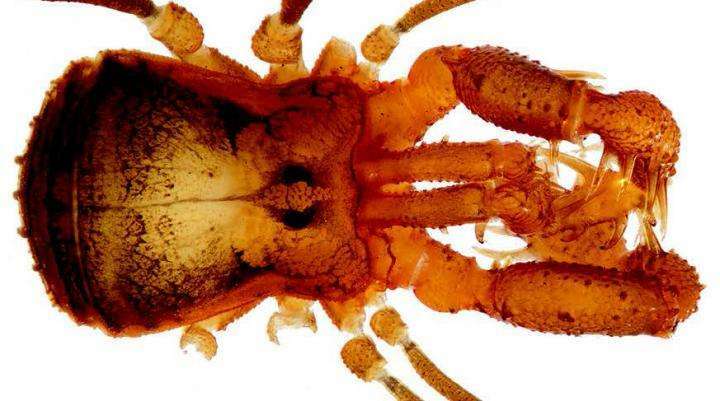 Inspired by much newer records of the previously known species, called after the notorious Hebrew monster Leviathan, an American team of researchers from University of California Riverside and the San Diego State University, led by Dr. James Starrett, undertook a new search for mysterious endemic harvestmen, which was successfully concluded with the discovery of another beast, Cryptomaster behemoth. Their work is available in the open-access journal ZooKeys. 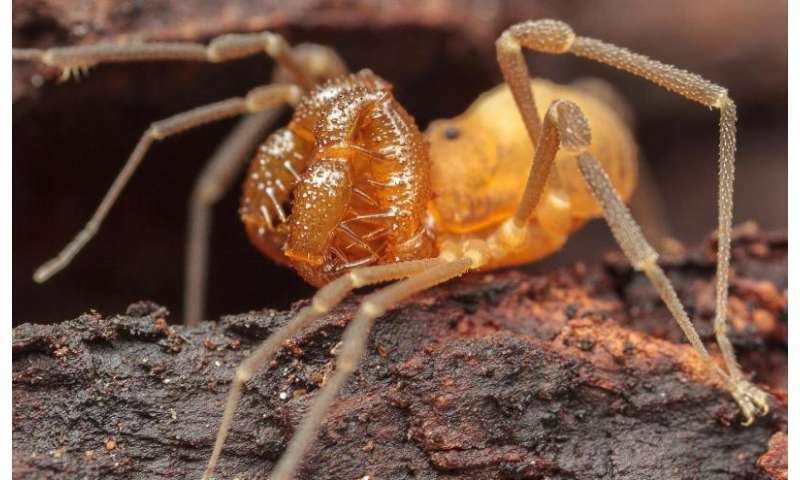 The Cryptomaster daddy longlegs belong in the largest and incredibly diverse harvestman suborder, called the Laniatores, which are characterized by having relatively short legs and preference for hiding underneath logs, stones and leaf litter in tropical and temperate forests. Typical for many of these well over four thousand species is that they might inhabit very restricted geographic regions and yet be strikingly genetically diverse. This is why when the authors understood about the recently expanded distributional range of the Leviathan's namesake across different mountain ranges, they did not take long to assume that there could be more species having settled nearby. Curiously, both Cryptomaster daddy longlegs species showed two forms of their species, a smaller and a larger one, but neither form was genetically different enough to suggest the presence of a separate group. The scientists observed the variation in both males and females from across both species and all their known localities. Having its localities further increased as a result of the present study, C. leviathan shows surprisingly small genetic distance between its populations. In contrast, its sibling species is so far known to occupy far more restricted range, yet shows considerably more genetic variations. Bearing the name of the huge notorious Hebrew monster Leviathan, the first member of the harvestman genus has won its name because of its excessive size when compared to its relatives within the family of travunioid daddy longlegs. Following the already established trend, the new species is called Cryptomaster behemoth after another large monster known from the Book of Job. 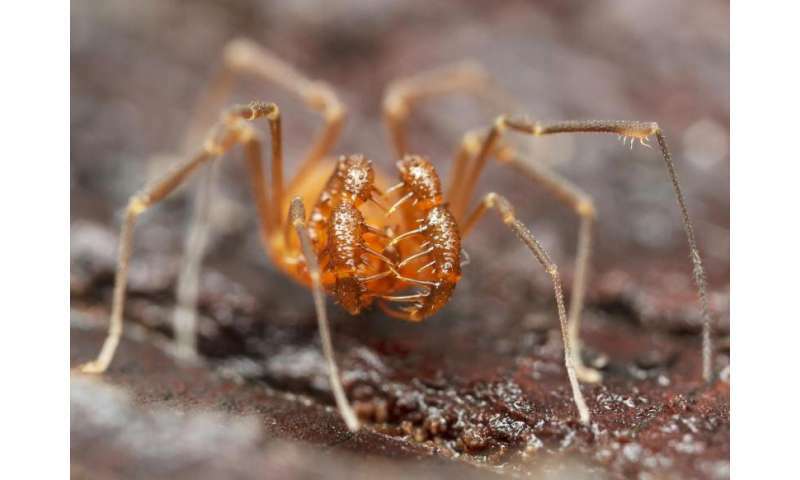 "This research highlights the importance of short-range endemic arachnids for understanding biodiversity and further reveals mountainous southern Oregon as a hotspot for endemic animal species," point out the authors in conclusion.